(if you know what Git is you can get it that way too). If you don't know what's going on at this point, try clicking continue. 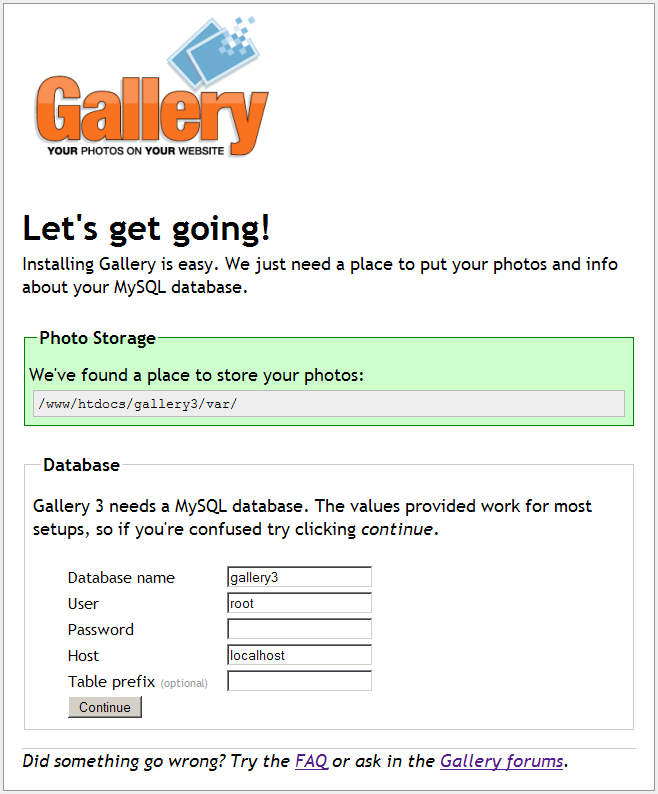 edit .htaccess (in gallery3 directory), scroll down to the section "You can use the mod_rewrite Apache module to get rid of the "index.php" from your Gallery 3 urls..." Follow this instruction to change RewriteBase. If you cannot add a photo, you need to install G3 Plupload module or html_uploader module into the Module Directory. Use Options > Organize Album to rearrange photos in your album! This page was last modified on 20 November 2013, at 22:05. This page has been accessed 209,178 times.